Stromae takes America - Right ? 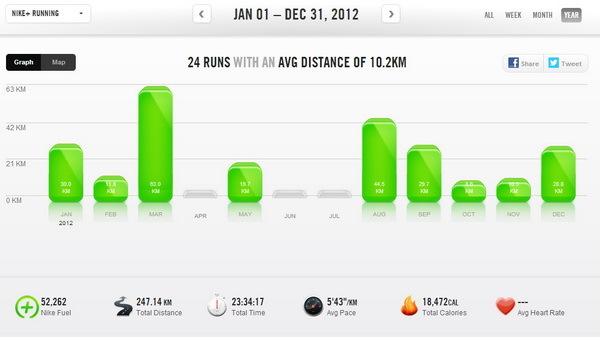 When 2012 started, I challenged myself to step up my running performance - and set a goal of 10km per week for the year... or stated in a different way: target 500km in 2012. So how did I do ? And what's up for 2013 ? On the bright side... I did step it up. 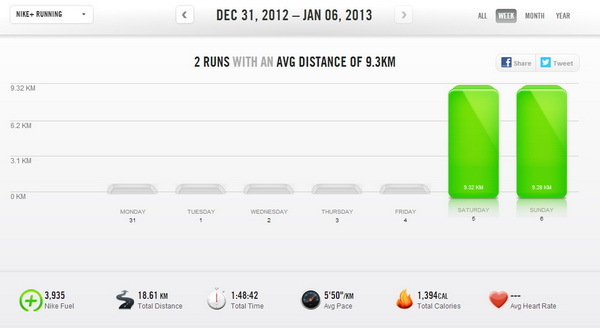 But I fell way short of the target - and didn't come close to meet the 500km challenge. 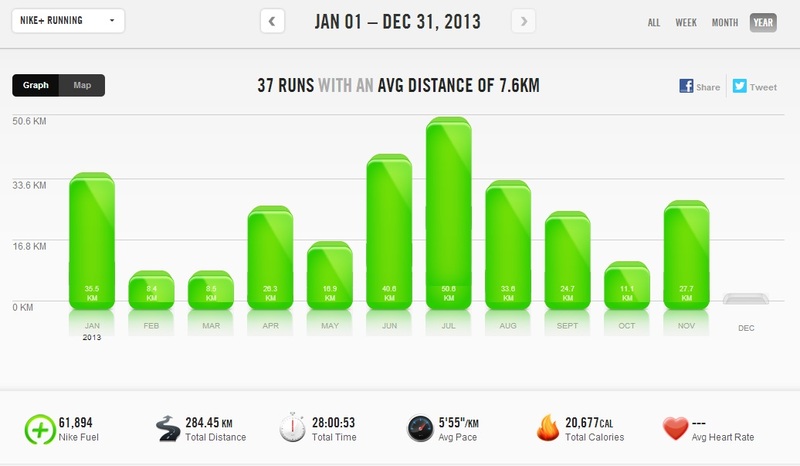 In fact, I did just about half (247km) as you can see from the graph above. But, I did compete in my first half marathon run - and did finish the 21km run in 2 hours and 17 minutes. But then we moved to Dallas, Texas, USA. I did pick my training again (see my first run in Texas and even competed in a 5K charity run, but then the warmer temperatures got the better of me and I basically did not do any runs over the summer - picking it back up in the fall. So... mixed results at best. 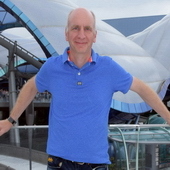 And now: keep it up for the rest of the year - do a better job than in 2012 ! Submitted by Jürgen on November 11, 2013 - 00:56. Submitted by Jürgen on August 10, 2013 - 21:44. Submitted by Jürgen on January 25, 2013 - 23:41. Recently I switched running-partner... Instead of doing my runs with my iPod Nano I started to use my iPhone 4S. 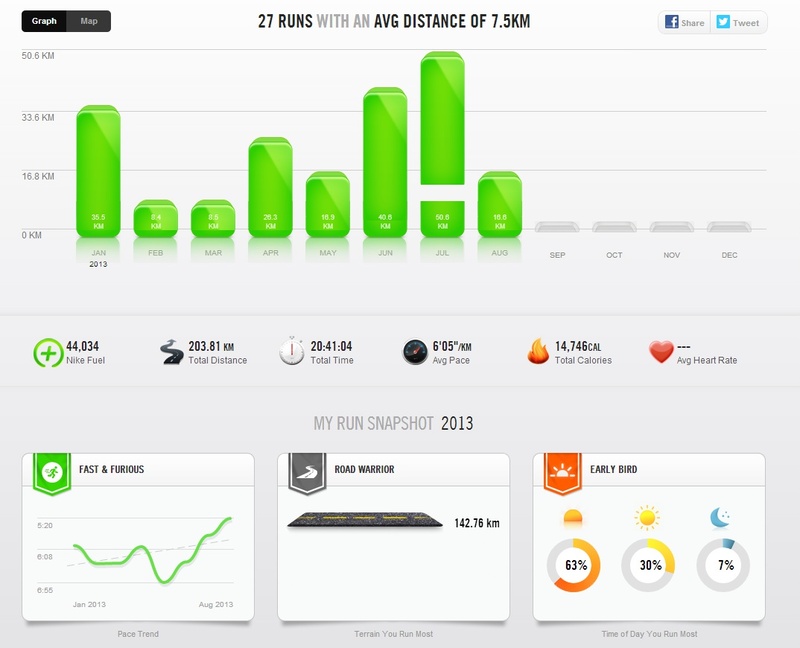 The Nano needed a sensor in my Nike running shoes in order to measure my performance - the iPhone 4S uses its build-in location services to determine the distance. 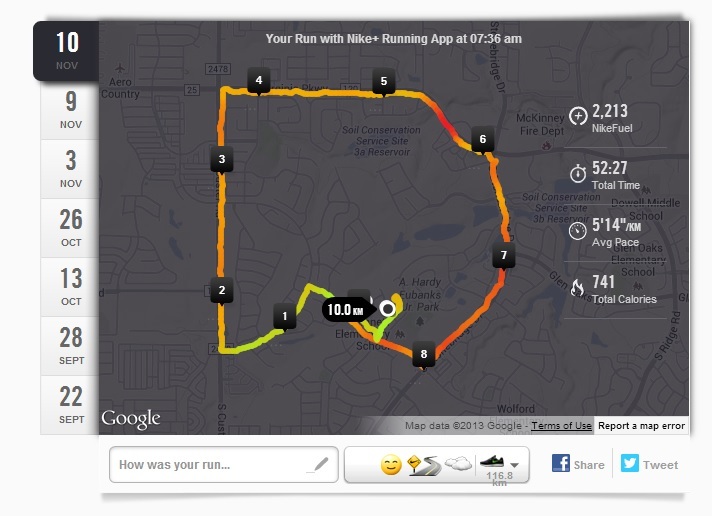 In both cases, I used the Nike+ application - pre-loaded on the Nano device, and available for free in the iTunes store for iPhone users. The map is color coded to see the changing speed as you moved along the track - impressive. The only issue... the distance reported for exactly the same track was 9.5km on the iPod and 8.5km on the iPhone... that is more than a 10% difference... so, who is right ?